Fabry Consult is a member of ESOMAR, thereby promoting our commitment to the highest quality standards of market research practice, as enshrined in the ICC/ESOMAR CODE and ESOMAR WORLD RESEARCH GUIDELINES. 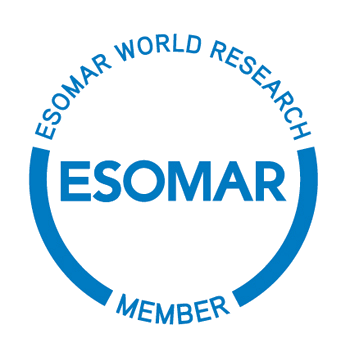 Esomar is the world organisation for enabling better research into markets, consumers and societies. With over 5000 members in 100 countries, Esomar’s aim is to promote the value of market and opinion research in illuminating real issues and bringing about effective decision-making. Esomar is the essential organisation for encouraging, advancing and elevating market research worldwide.